Want Cheaper Car Hire in Budva? Compare discounted rates for SUV, MPV & minivan rental in Budva, Montenegro. 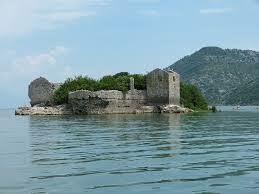 Cheaper car hire for Budva can be booked here. Budget & Hertz are you can book with in Budva through our site. The advantage of doing so, is that they both discount their normal prices to encourage you to book early. This helps them to manage their fleets better, especially for the summer, so book today or soon. Budget have a depot in the town, whereas seems Hertz will deliver to your hotel. Mileage is included in the price, as is excess reduction and all that needed with any rental. Despite being a major tourist resort, there is no longer an airport at Budva, so you need collect your car in the town, if not already got one at either Tivat (the nearest) or Podgorica Airport. You can do one way hires, if not need a car for your whole trip.Need to do a one way to another country, or just stay in Budva? No problem, as both national and international one ways are possible. So if you want to go from Montenegro to Serbia, from say Budva to Belgrade, then try here. This is one of the oldest cities on the Adriatic and continues to pull in the highest number of tourists going to Montenegro. Apart from a quaint city on the sea, it has lots of beaches for chilling out on. Outside of Budva, there is much to see and do, by way of the mountains that climb above the city, or travelling along the coast to admire places like Sveti Stefan, which is small city on a small island linked to the mainland.